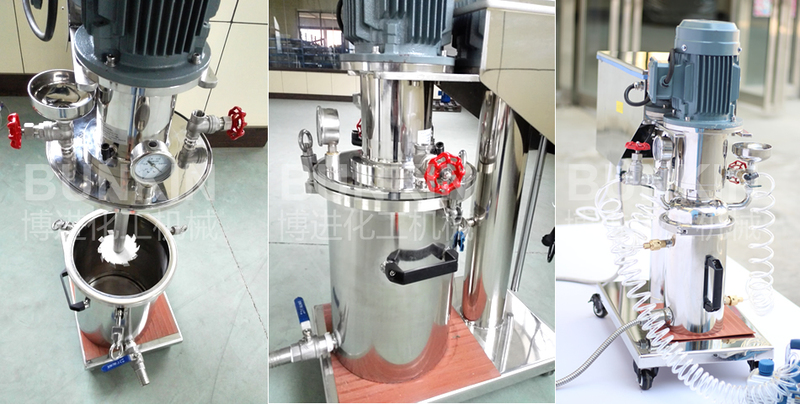 Lab Closed Vacuum Disperser_Anhui Bunkin Chemical Machinery Co.,LTD. Lab Closed Vacuum Disperser design for dispersing materials in vacuum tank. Material dispersed in vacuum tanks, it can decrease bubbles and volatilization of agents, expedite degassing and promote dispersing fineness. Applied materials: Suitable for all kinds of materials with viscosity less than 50000cps, solids content less than 60%; such as emulsion paint, industrial paint, water-based ink, etc. Through the high-speed rotation dispersing disc, the material will become in annular form flow, resulting in strong vortex flow, which descend down to the bottom of the vortex in spiral state. 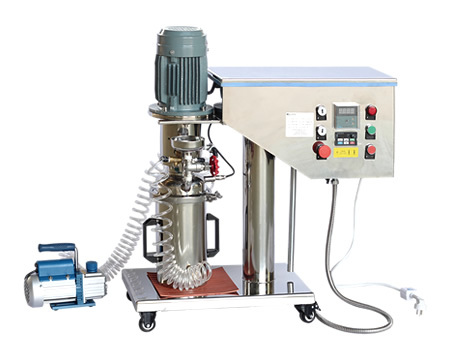 During the process, materials are dispersed, dissolved, mixed and emulsified efficiently due to the strong shearing crash and friction among the particles, On the cylinder vacuum control Optional vacuum pump equipment,, high-speed mixing and physical vacuum defoaming at the same time, you can customize the constant temperature heating system.